Dremels are best known for grinding things down, but they also make a 3D printer to build things up from scratch. 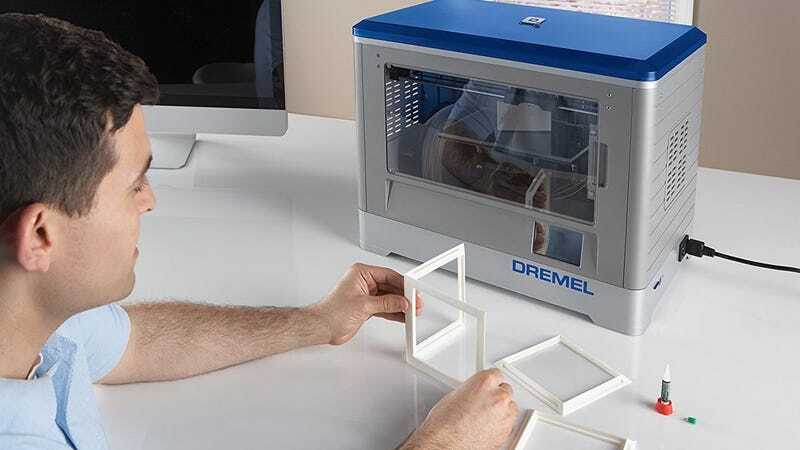 The Dremel DigiLab 3D20 features 9.0 x 5.9 x 5.5 in build volume and solid reviews, and you can add it to your workshop for $600 today. That’s a decent chunk of change, but it’s a full $300 less than usual. Just note that this deal is only available today, or until sold out. Need help getting started? Lifehacker’s got you covered.